KATHMANDU, July 23: It has been learned that the Tax Settlement Commission had settled tax disputes of several firms without receiving permission of case withdrawal from the Revenue Tribunal. The tax settlements of over 30 firms reached without following due process have raised questions on the validity of the commission's decisions. Clause 7 of the Tax Settlement Act 1976 states that the commission can allow taxpayers who have appealed at the tribunal for a review of their taxes to withdraw their cases, and case withdrawal permission from the tribunal is mandatory for settling the taxes. "However, the commission members with ulterior motives settled the tax disputes without taking tribunal's permission. They have breached the law. The members also did not reassess the disputed taxes while negotiating the actual tax payable amount," said a source at the Commission for the Investigation of Abuse of Authority (CIAA). The firms whose tax disputes the commission settled without withdrawing the cases from the tribunal are Bhagawati Steel Industries Ltd, Energy International Pvt Ltd, Satyal Prakashan Pvt Ltd, Harbo International Pvt Ltd, Reliance Spinning Mills Ltd, Lasersun Energy Pvt Ltd, President Travels and Tours Pvt Ltd, Himalayan Brewery Ltd, Nepal Hydro Electric, Shree Naj Tea Estate Pvt Ltd, Nepal Educational Material Pvt Ltd and Reliance Sugar Mills and Chemicals Pvt Ltd.
All these settlements reached without following the due process were made between the months of Ashadh and Ashwin of 2072 BS [mid-June to mid-October 2015]. Other firms that were given tax discounts under different categories without the tribunal's permission include Kiran Shoes Manufacturers, Himalayan Travels and Tours Pvt Ltd, ASB Automobiles, Mahalaxmi Sugar Ltd, Shri Nasaku Motors Pvt Ltd, Shri Naya Baneshwor Departmental Pvt Ltd, Auto Connection, MMM Group Ltd JV with Sai Consulting Pvt Ltd and Jonchhe Traders. Any taxpayer dissatisfied with the review decision of the administrative appeal led by director general of Inland Revenue Department, can appeal at the tribunal. The tribunal is a three-member judicial body led by a sitting judge of high court which conduct hearings on tax disputes and gives its verdict. Any taxpayer dissatisfied with the decision of the tribunal can appeal against the decision at the Supreme Court. An official at the Revenue Tribunal who is not allowed to talk to the media said that they are not aware of any tax settlements reached without taking permission from the tribunal. Former Acting Auditor General Sukadev Bhattarai Khatri, said that they had found several such procedural breaches made while settling the tax disputes and questioned the validity of such settlements. Khatri took the initiative to disclose illegal tax settlements in the 54th annual audit report. Based on the report, the CIAA started investigation and recently filed corruption cases demanding Rs 10.02 billion each from the three members of the commission. 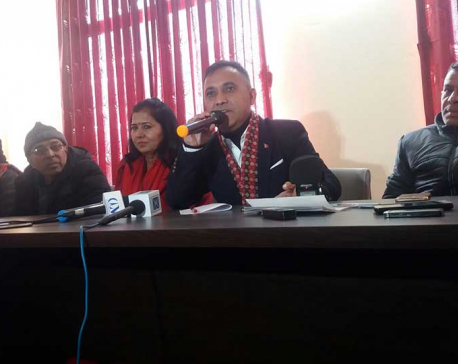 The commission led by Lumba Dhwaj Mahat was formed by the government in 2015 and the members were Director General of the Inland Revenue Department Chudamani Sharma, and chartered accountant Umesh Dhakal.